Venus is quite amazing. I really think another Venera styled mission should be lauched. A .gif of a Cornal Mass Ejection that happened just recently:Image from Wiki. I wish I could do photos like that... All I can see is the moon and that's it (thanks light pollution). And when I go out of town everything is bathed in clouds and on top of that I'm covered in mosquitoes. Advice? I live in the countryside, pretty far away from any factories, and I live in Finland so winter nights here are very dark and you can see alot of stars, and sometimes, rarely, if you look at the sky for while you can almost see the milky way. Though in summer the sun shines through the night so you don't see anything. BTW Is that picture from Hubble? Let's hope Neil can do it as good as Carl. But why Fox? Because Seth McFarlane, creator of Family Guy used his cache to make it happen, and his cache is strongest with Fox. Plus Fox is a public broadcast network, so it'll reach a lot more people than cable. It's going to be heavily promoted and air at primetime. The hope is to engender a paradigm shift away from the trashy "magical thinking" of modern low-brow pop culture, and instil a sense of wonder in the drooling masses. And nowhere's better for drooling masses than Fox. Yesterday's Astronomy Picture of the Day. Fantastic photo. 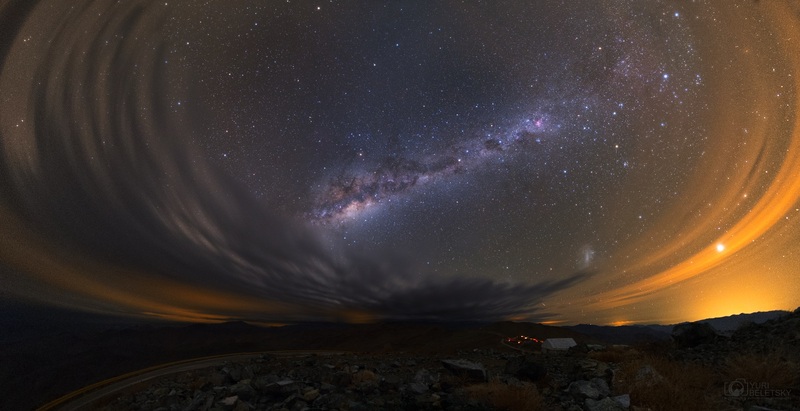 I would love to be able to see such dark skies.